The Phenomenon of Mekong Lights or widely known as the Naga Fireballs is an Asian mystery, which baffled and stunned many people around the world. These lights occur along an approximate 100km stretch of Mekong River adjoining Thailand and Laos. This strange event happens yearly in late October to early November under a full moon sky. The lights are usually glowing red-orange balls rising out of the Mekong River. Hence, the name Mekong Lights originated from the Mekong river name. According to many locals, the Phenomenon of Mekong Lights or popularly known as Naga Fireballs are actually the fire breath of a giant sea serpent called Naga or Phaya Naga. This serpent lives in the riverbed and awakes every year during the late autumn night of the full moon at the end of the Buddhist Lent. The serpent is believed to be honoring the end of the Vassa or the three-month long period of Rain Retreat or Buddhist Lent. Naga or sea serpent are described as shape-shifters, they can appear in human form or half human and half serpent creature. In Thailand, the Phaya Nagas are considered as guardians and they are believed to be benevolent powerful servants of Buddha. Every year, on the 15th day of the 11th lunar Month, locals in Thailand rejoices Phayanak (king of Nagas) Festival, which coincides with the Wan Awk Pansa, the end of Vassa or Buddhist Lent. Since the fireballs are often seen during this period, many locals accept the belief on the serpent Naga. Evidence of the origin of the fireballs, which is from a large sea serpent, is widely distributed along the Nong Khai Province of Thailand. 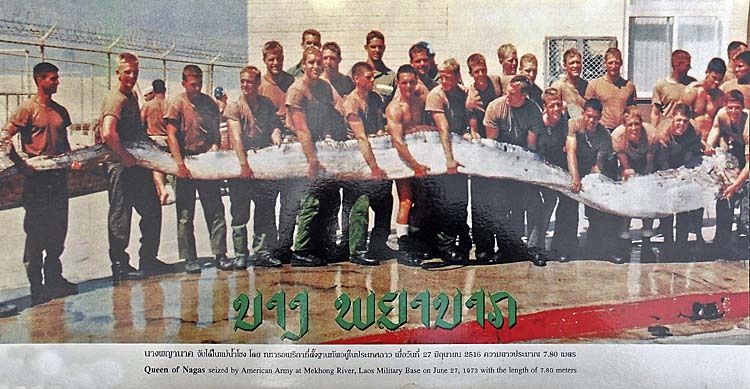 A photograph showing about 30 American soldiers holding a large and long sea creature was believed to be one of the Nagas. According to some reports, the giant creature is the queen of the Nagas, which was held by American Army at Mekong River on June 27, 1973, in Laos Military Base. However, some reports claimed that the photo is taken from the coast of San Diego, California. According to some research, the sea-creature was not a Naga but a giant oarfish. This photo is a comparison of an oarfish and the Phaya Naga (sea-serpent). Do you think they are the same creature? More pieces of evidence are available in a Buddhist Temple in Nong Khai City. Some objects there are believed to be fossilized bones from a Naga, such as an egg and a tooth. The Naga Fireballs are not just ghostly apparition seen once throughout the history of Thailand and Laos, but many saw the fireballs almost yearly. The Mekong lights were captured and used in movies and documentaries worldwide. Even scientists came to investigate how these fireballs happen. One scientific explanation of the cause of the Naga Fireballs is the swamp gas theory. Based on this theory, an organic matter at the bottom of the river decomposes and gives off methane gas. This methane gas fizzes up to the surface of the water and it spontaneously ignites when it fuses with oxygen. This process under precise conditions produces a brief burst of flaming gaseous bubbles that form the Mekong Lights. According to a pediatrician, Dr. Manos Kanoksilp, the main advocate of this explanation explained that the precise conditions that allow methane gas to form fireballs are the exact alignment of the sun, moon, and earth. 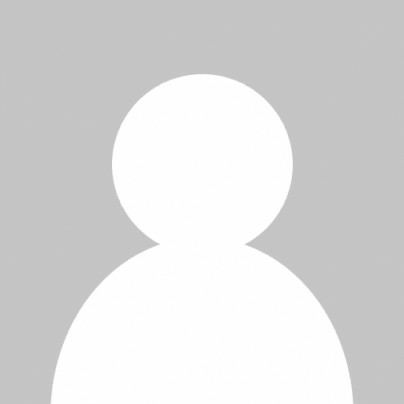 Another scientific explanation that is almost similar to the Methane gas theory involves a different gas, which is the Phosphine. The Thai Science Ministry’s Deputy Secretary Saksit Tridech and a team of scientists used special apparatus to measure conditions around the Mekong River. They claimed that the fireballs were the result of built-up Phosphine gas. This gas in the presence of diphosphine is capable of spontaneous flammability under certain chemical conditions in the river sediments of Mekong. These two theories seem plausible but are actually full of flaws. First, the methane gas burns in an oxygen-rich environment within a specific range. It can only ignite in a very narrow range and requires phosphine and phosphorous tetrahydride. These gases are not commonly present in nature. In an experiment to replicate the fireballs through methane gas, the ignited gas produced bluish green sudden burst with black smoke. This is contradictory to the reddish-orange Naga lights that burn slowly and rises up into the air as a fireball. On the other hand, the Phosphine gas is heavier than air. It will never rise up midair very quickly like the Naga Fireballs. When phosphine ignites, it yields white and dense cloud, which is unlikely of Mekong Lights. In addition, according to some research, the bottom of the Mekong River does not have organic sediments but has a sandy bed with occasional rocks. Furthermore, if the alignment of the sun, earth, and moon affects the Mekong Lights, why do the fireballs only happen in the Mekong River and is not observed in other lakes or water parts of the world? If there are other gases involve in the Naga Fireballs, the tedious chemical process of different organic matter should be found in the Mekong River, but explorations did not show anything similar to organic sediments needed by flammable gases. With all these contradictions, the scientific explanations of the Naga Fireballs are not widely accepted. In 2002, a Thai television network called iTV sent a group of journalists to observe the Mekong River and find out where the fireballs originate. The program “Code Cracking” feature their team who went to the Laotian side of the river during the Naga Festival. What they filmed were Laotian soldiers shooting tracer rounds into the air. Every time they did this, the crowd on the Thailand side were heard shouting, indicating that they’ve seen the Mekong lights. The program received a massive backlash because the locals felt offended about their sacred festival. They felt that the TV program was implying that the fireballs were all just a hoax. Due to this, further scientific explorations were made to figure out where the Mekong lights came from and until now, professionals provided no concrete evidence. If what the iTV broadcasted were true, why would the Laotian side do this for the Thai festival? Another baffling contradiction is that after this incident with the Laotian soldier, no reports were made that they were actually seen firing again during the Naga festival. Moreover, the fireballs are often seen in very secluded places where organizers of the festivals won’t have any chances to impress visitors. In addition, numerous people closely watch the river yearly, days before the festival and no one was caught in the act doing fake Mekong lights. For now, we don’t know what causes the Naga Fireballs. This unexplained phenomenon of the Mekong lights will remain a mystery to many but will continue to impress visitors from all over theof the world with a spectacular light show every year.